Karate Kid stars Ralph Macchio and William Zabka are going back to the dojo. According to The Hollywood Reporter, the pair have signed on to star in a 10-episode half-hour comedy series about their famed characters for YouTube Red. The series, which landed at YouTube Red after a competitive bidding situation between Netflix, Amazon, Hulu, and AMC, will be titled Cobra Kai. Macchio played the heroic underdog Daniel in the original 1984 film and its sequels, while Zabka played his rival Johnny. The new series will take place 30 years after the fateful events of the 1984 All Valley Karate Tournament and will see Johnny, looking for redemption, reopening the Cobra Kai dojo and therefore reigniting his rivalry with Daniel. While Daniel is now successful in life, he is still struggling to find balance without the help of his mentor Mr. Miyagi, who was played in the film by the late Pat Morita. The pair will address their past and present frustrations through, of course, karate. Hot Tub Time Machine's Josh Heald will write the script alongside Harold and Kumar duo Jon Hurwitz and Hayden Schlossberg. All three will executive produce alongside Macchio and Zabka, with Hurwitz and Schlossberg also serving as directors. Will Smith, who produced the 2010 remake which his son also starred in, will also be involved with the series through his Sony Pictures Television-based Overlook Entertainment, whose James Lassiter and Caleeb Pinkett will executive produce. "Like everyone who grew up in the 1980s, the three of us are enormous fans of The Karate Kid," Heald, Hurwitz and Schlossberg said in a joint statement. "Cobra Kai will be a true continuation of the original films— packed with comedy, heart and thrilling fight scenes. We can't wait to reignite the LaRusso-Lawrence rivalry, and we're thankful to our partners at YouTube Red, Sony Pictures Television, and Overbrook for their shared enthusiasm in making our dream project a reality." According to THR, Macchio and Zabka pitched the project all over Hollywood, with YouTube global head of originals Susanne Daniels saying that they were "enthusiastic and fun" in their pitch meeting. "I don't know whether they had rehearsed it, but they played the parts of their characters well," she said. "More than anything, it was just amazing to see them together again." Daniels added that "all the elements you look for in a strong show," including heart, laughs, and drama, were present in the pitch. Daniels also explained why they decided to change the name from The Karate Kid to Cobra Kai, saying that there were a number of reasons. "If The Karate Kid wad Daniel's story, Cobra Kai is equal parts Daniel and Johnny's story," she said. "Also because this is a series and not a movie, we really wanted to reimagine how the story was told. Changing the name made sense as part of that." The series is set to debut in 2018. 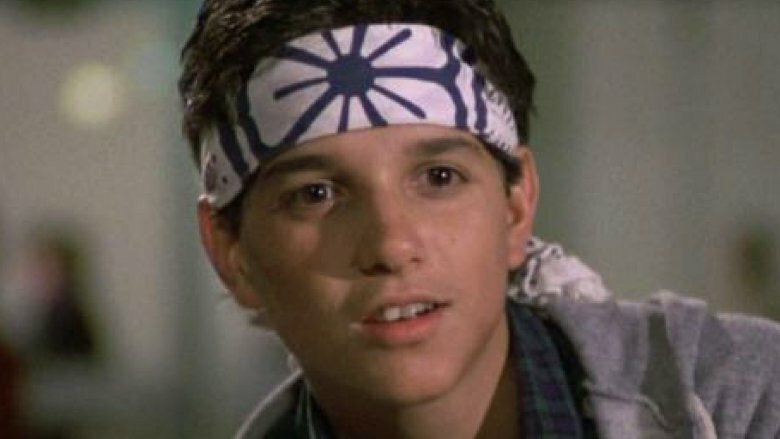 While we ponder the possibilities for the characters' futures, see the untold truth of The Karate Kid.